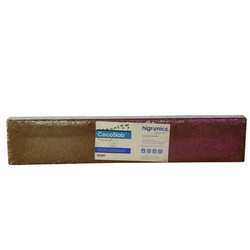 Pioneers in the industry, we offer higro compressed cocopeat slab- 5kg from India. Higro Compressed Cocopeat Slab¿¿offers the same benefits as cocoblock but with some added advantage. Cocoslab offers better compression ratio and has lesser expansion time. Looking for Cocopeat Slab ?